The 2018 MRF MMSC-FMSCI Indian National Racing Championship headed into its closing stages this year with the fifth and final round being held over the past weekend at the MMRT near Chennai. 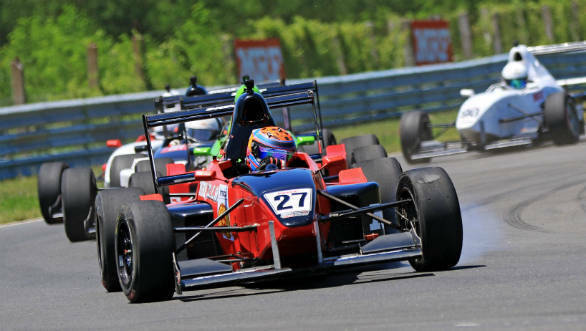 Qualifying sessions for the top-flight MRF F1600 were held on Friday, September 7. Here, Mumbai's Nayan Chatterjee qualified on pole which he converted into a win in the first race held on Saturday. 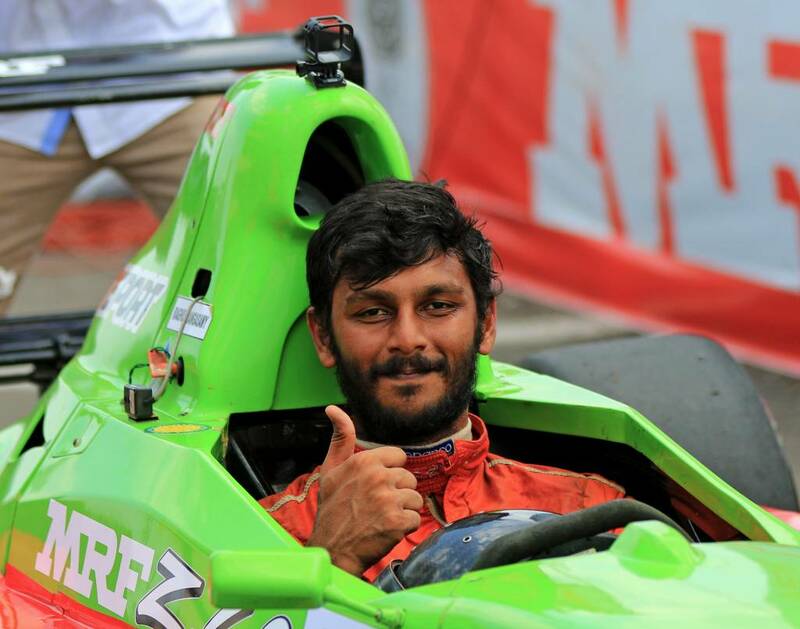 Raghul Rangasamy moved a step closer to winning the MRF F1600 championship when he finished second in this race. This put him 14 points clear of Goutham Parekh who finished third. Rangasamy clinched the title after Sunday's race with a third-place finish. His final tally was 182 points (two wins, seven podiums), eight ahead of the second-placed Goutham Parekh (two wins, six podiums). Rangasamy now gets a shot at this year's Mazda Road To Indy shootout in the United States. In the LGB 1300 class, Deepak Ravikumar won Friday's race. He did the double by winning that day's Super Stock race too. LGB title contenders Ashwin Datta (Momentum Motorsports, 136 points) and Sohil Shah finished fourth and fifth in this race. 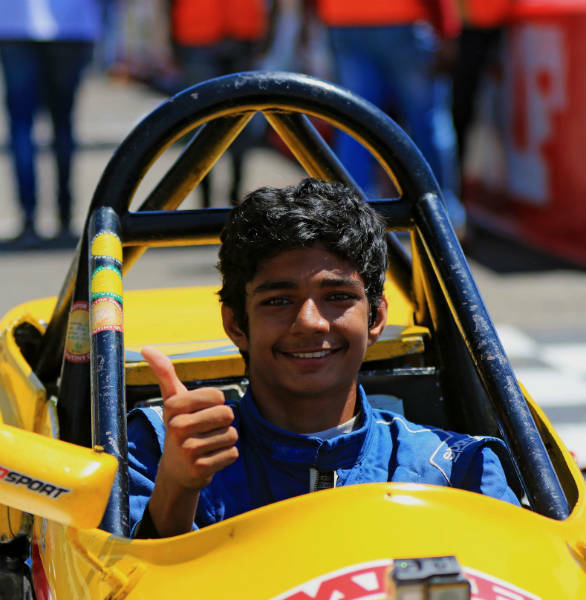 Sohil Shah, a 17-year old schoolboy from Bengaluru, converted this into a debut season championship title after Race 2 on Saturday. In the race itself, A Balaprasath finished first followed by Sohil Shah and Ashwin Datta. Sohil narrowly clinched the LGB 1300 title, just four points clear of Ashwin, who placed third in this race. In the first qualifying session on Friday for the premier Indian Touring Car class, Arjun Balu took pole assisted by the few aero tweaks he made to his car ahead of this round. He capitalised on this the next day, winning the first race and moving within 13 points of leader Ashish Ramaswamy. Ramaswamy finished second after getting past teammate Arjun Narendran who slowed down considerably in the last lap due to handling issues. Ashish Ramaswamy narrowly edged out Arjun Balu for the title, finishing the second race with his seventh consecutive podium finish of the season. He finished with 167 points, six ahead of Balu. Balu scored a double in this round but missing the first round possibly cost him the title. In the two Turbo class races held alongside the ITC class, both races saw Karthik Tharani in the Volkswagen Vento TC4A finish first, followed by Rayomand Banajee and Ishaan Dodhiwala in second and third respectively. In the Super Stock, Indian Junior Touring Car and Esteem Cup races were also held over the weekend. Srinivas Teja and Raghul Rangasamy won the Super Stock and esteem Cup titles on Friday itself. Prabhu AS from Namakkal took the title in the Indian Junior Touring Cars class in the second race on Friday. For details on the Caterham 7 Asia Zonal Championship and the Formula 4 South-East Asia Championship races also held over this weekend, follow this link.